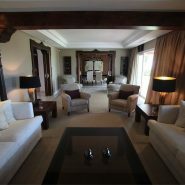 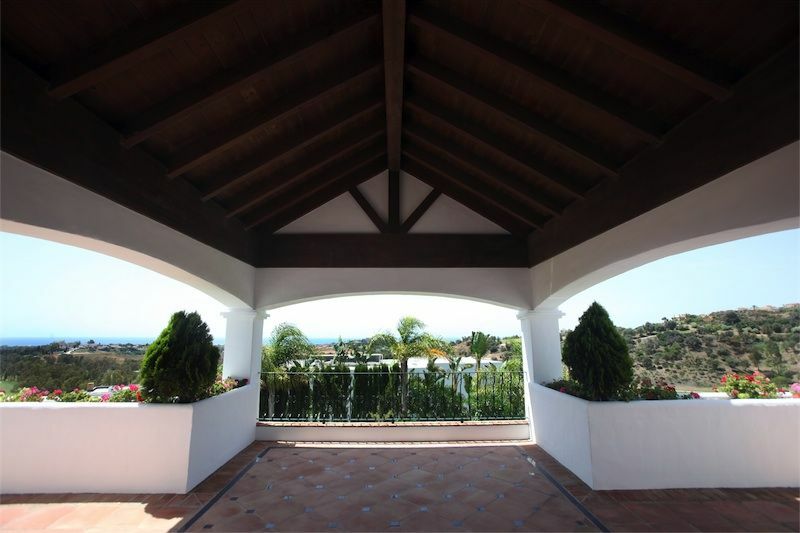 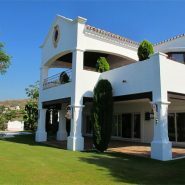 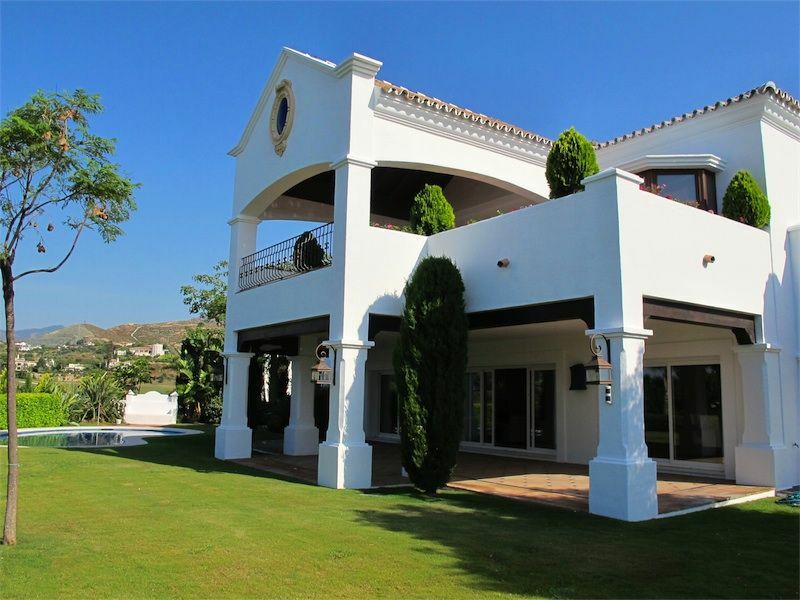 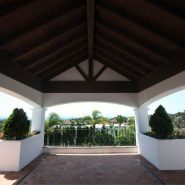 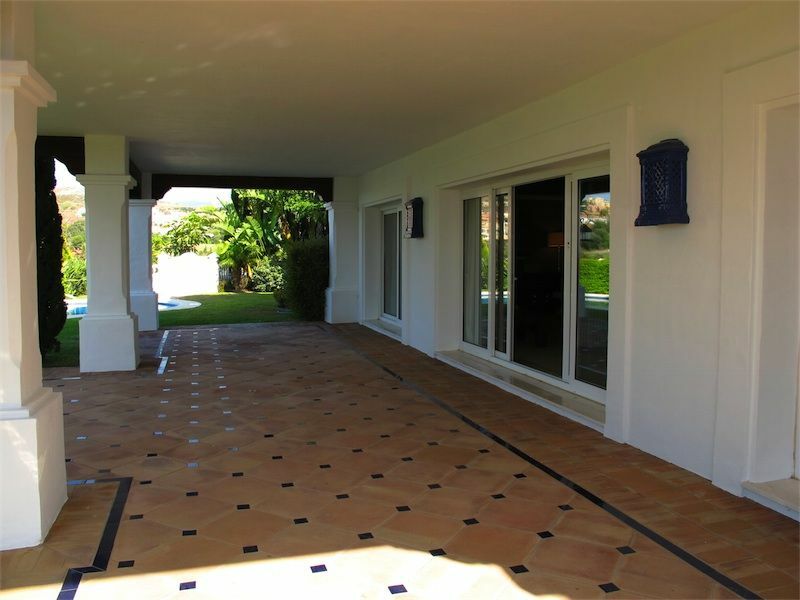 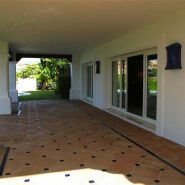 A beautiful villa offering magnificent views of the Alqueria and Atalaya Golf Courses as well as the Mediterranean coast. 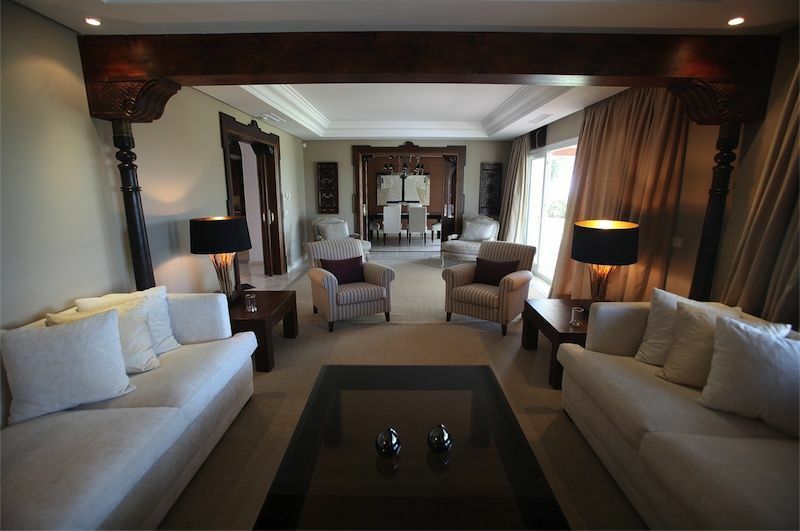 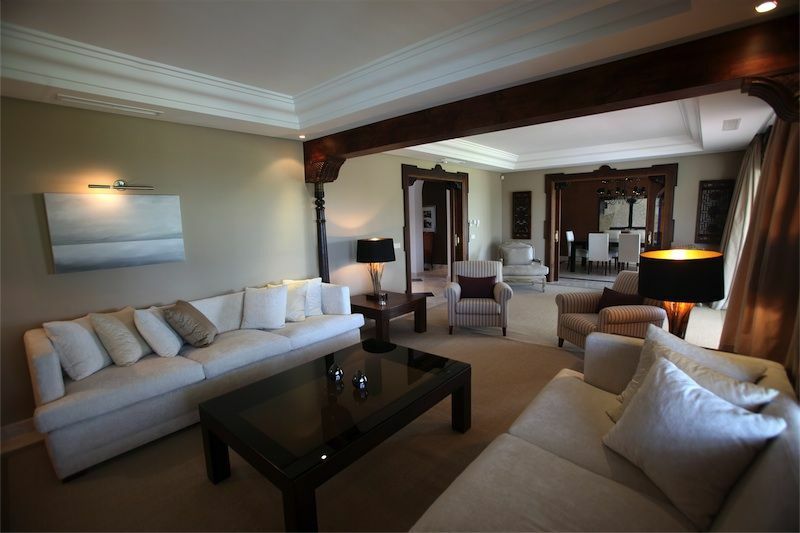 This 5 bedroom villa is built to high standards with a classic design, large spaces and plenty of natural light; the spectacular views can be enjoyed from all rooms. 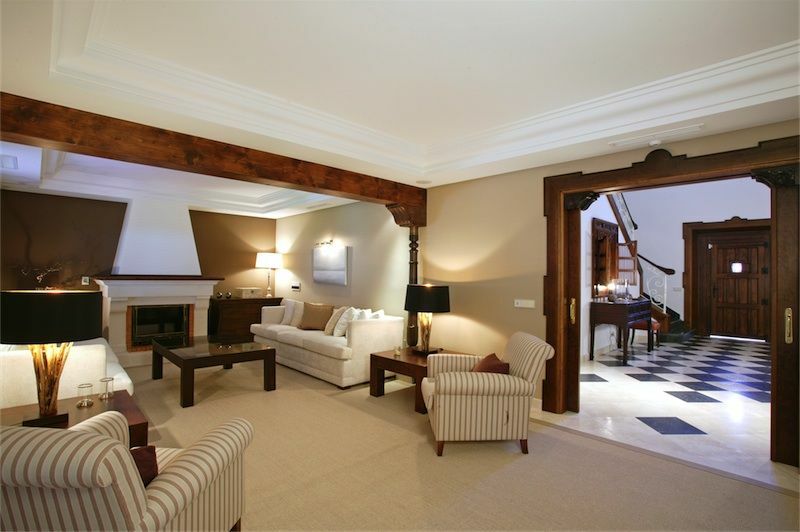 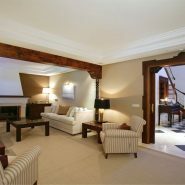 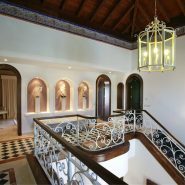 On the ground floor the villa offers a beautiful entrance hall, living room with fireplace and access to the covered terrace. 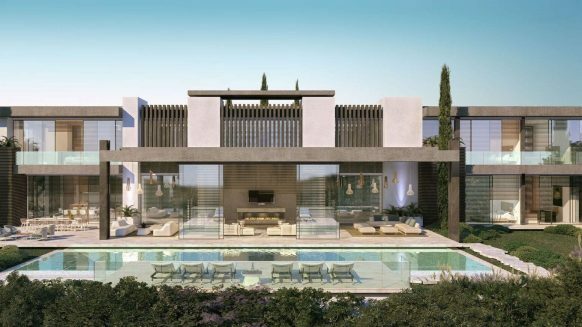 There is also a separate dining room, modern kitchen (Gaggenau appliances) with breakfast area and island and a bedroom suite with fantastic views to the Atalaya Golf course. 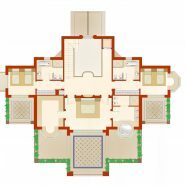 The master bedroom with private dressing room and en suite bathroom with Jacuzzi and private terrace is on the first floor. 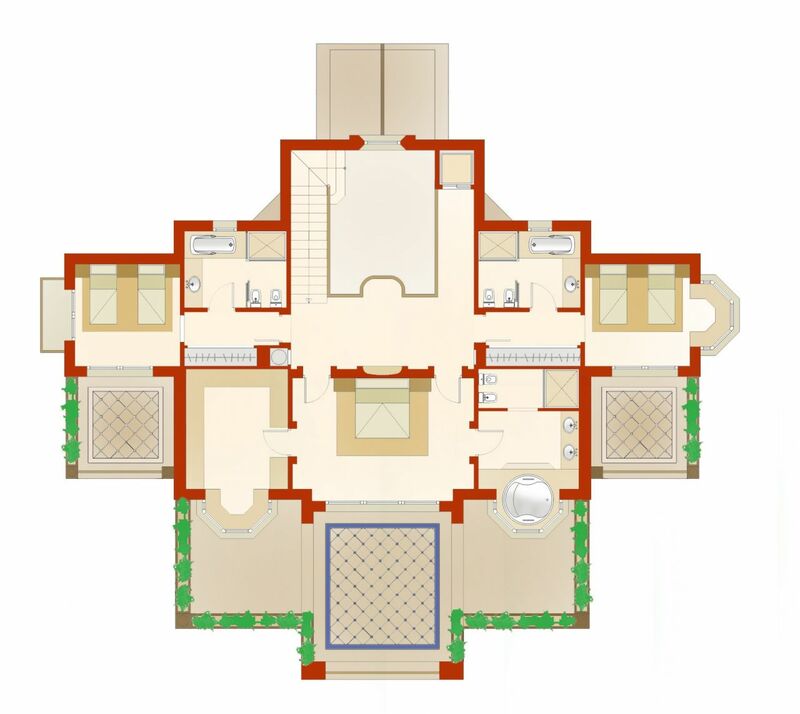 On this floor are two more bedroom suites. 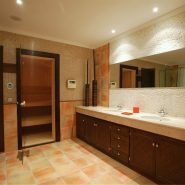 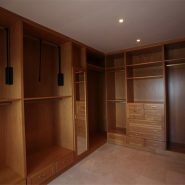 In the basement are the totally equipped Staff quarters, the SPA area with sauna and Turkish bath, wine cellar and laundry. 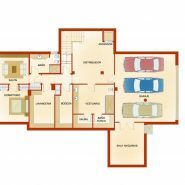 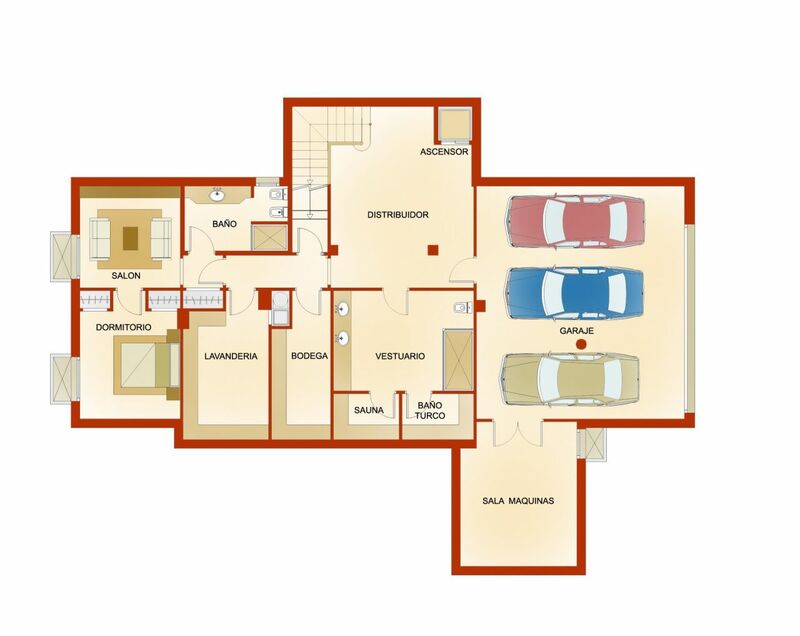 The garage is equipped for 2 cars and there is also a large parking area outside the house. 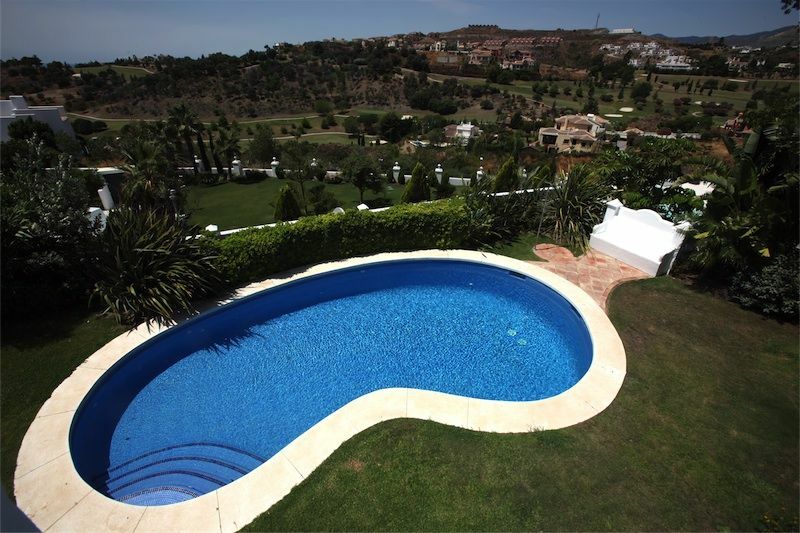 In the mature garden, beautifully lit in the evenings, is the Lake-shaped pool. 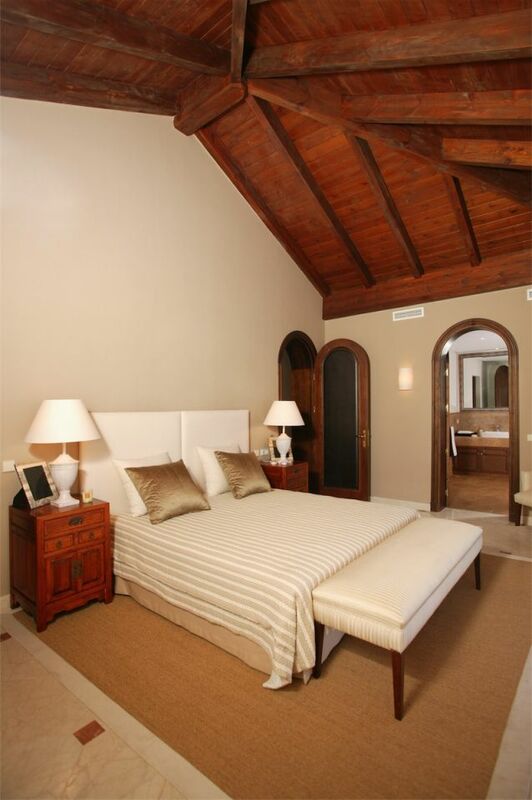 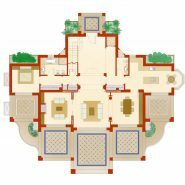 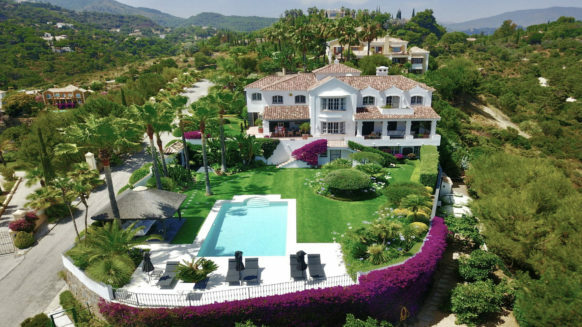 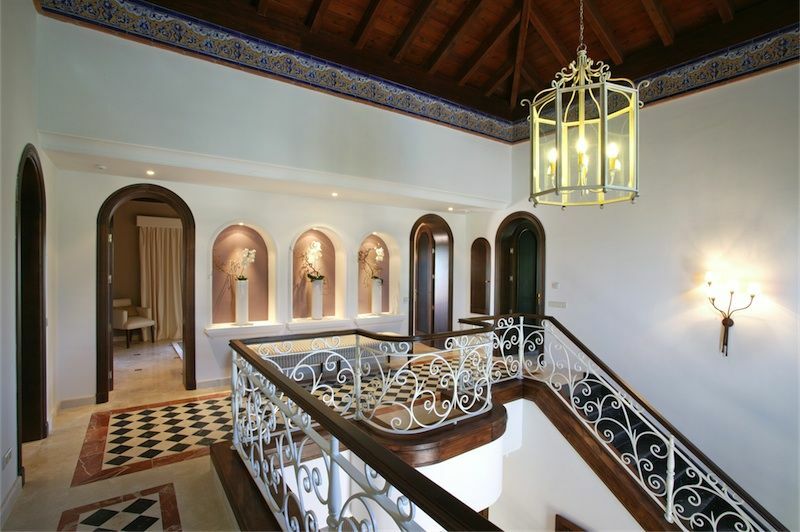 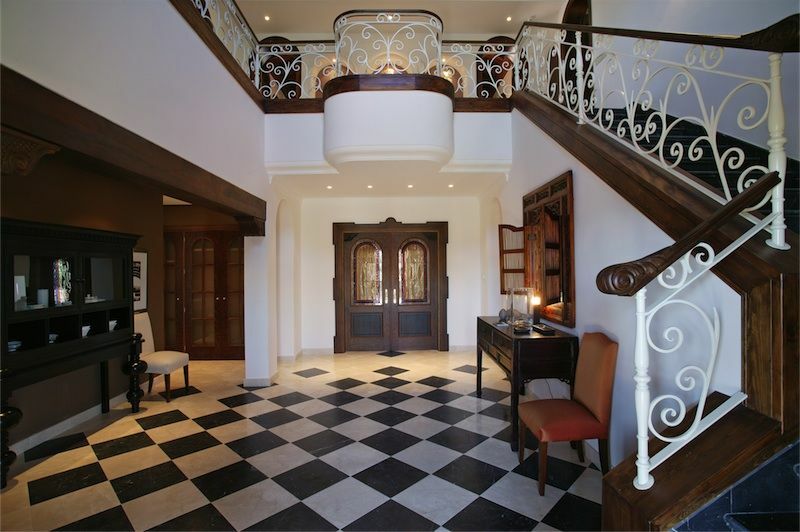 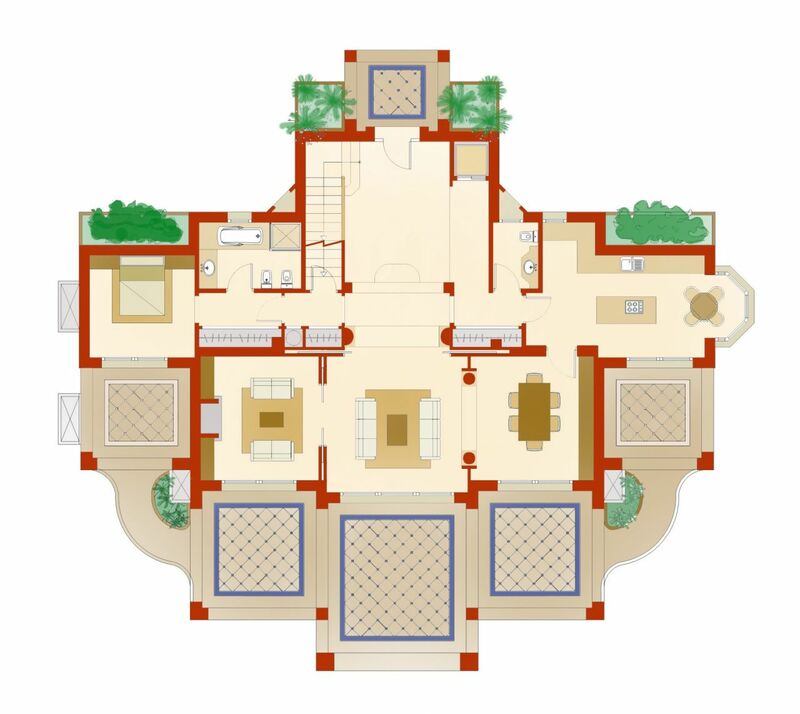 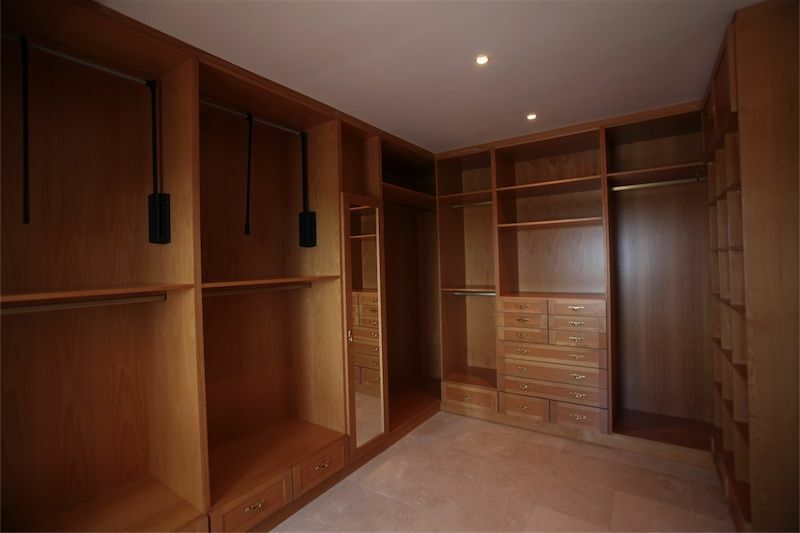 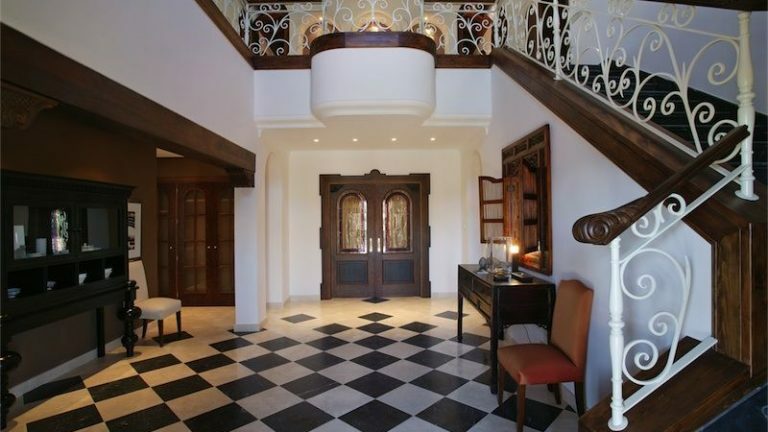 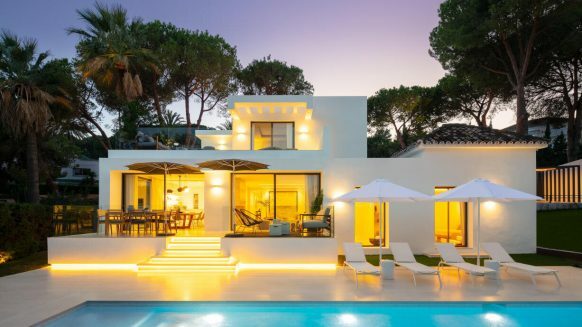 Furthermore the villa benefits of a lift to all floors, all floors are finished in marble with underfloor heating throughout the home and there are wooden ceilings in bedrooms. 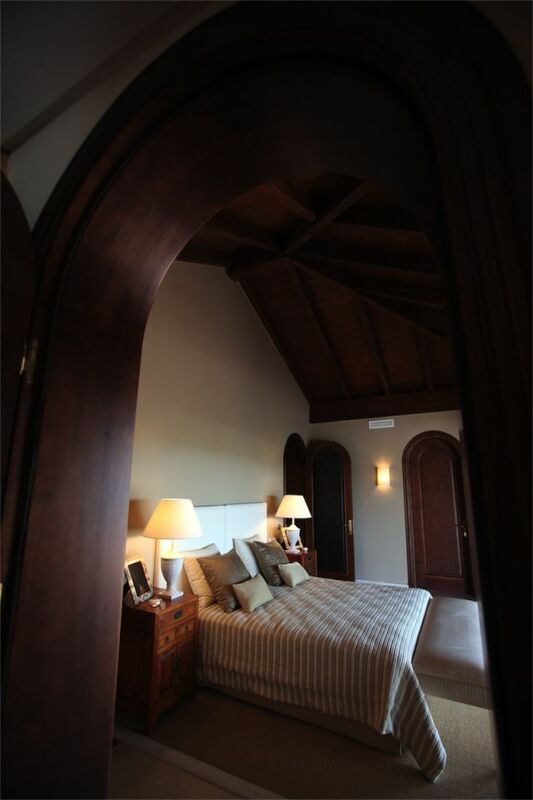 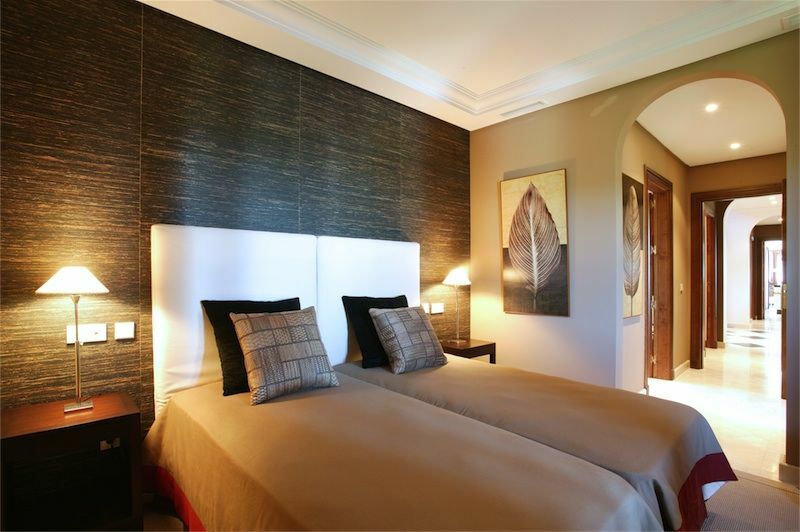 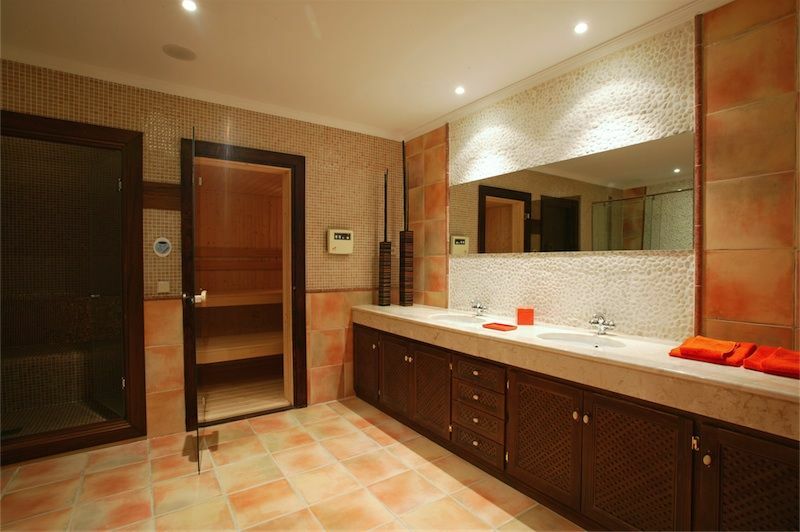 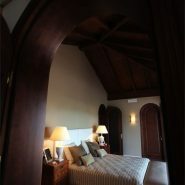 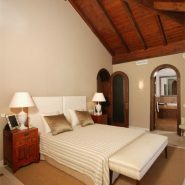 The villa is also equipped with air conditioning with climate control, home automation system, piped music, alarm, garden with automatic irrigation system. 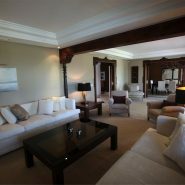 For sale fully furnished and decorated.